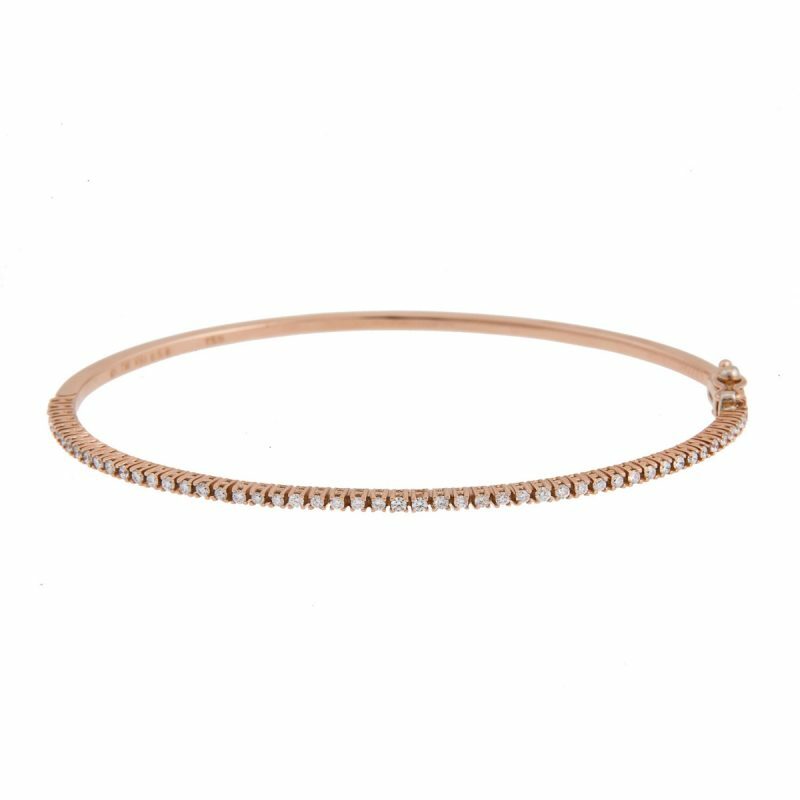 A taste of heaven with this delicate 18ct rose gold diamond set bangle, set with a row of brilliant cut diamonds in a fine claw setting. 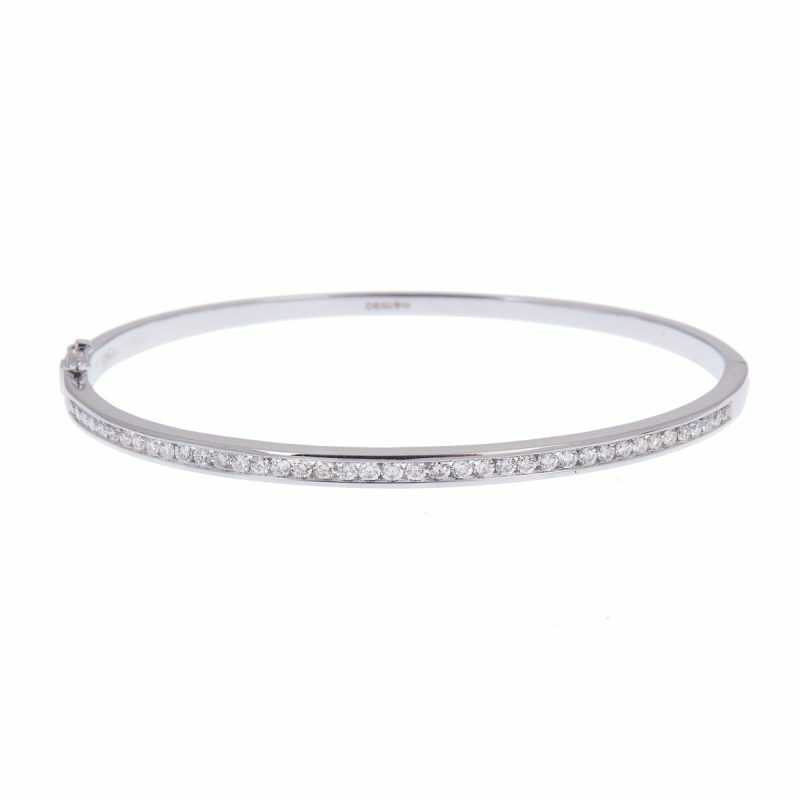 The icy tones and sharp brilliance of the gems, warmed by the sunny tones of rose mount. 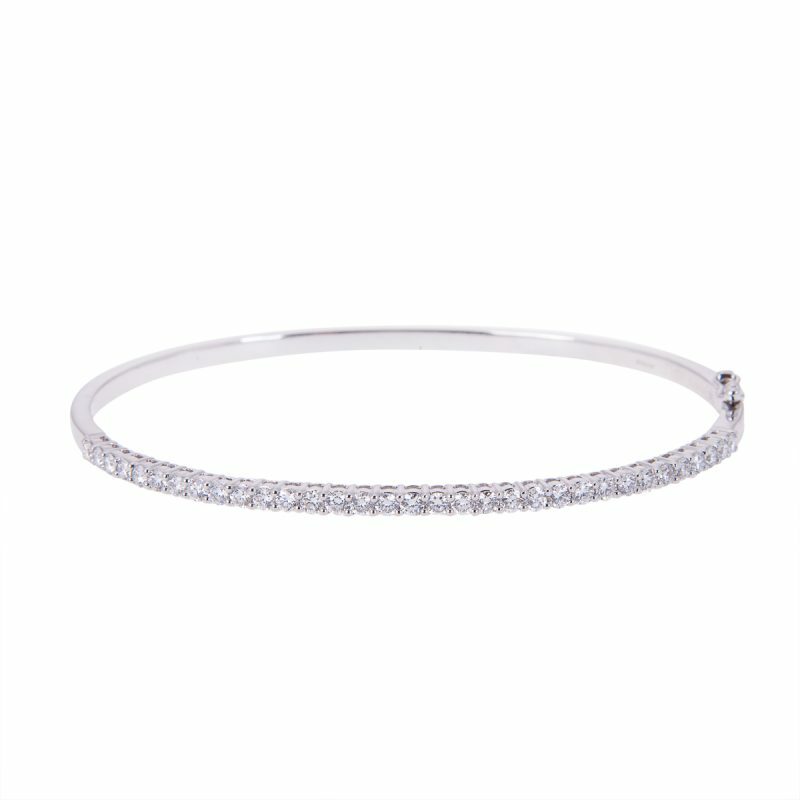 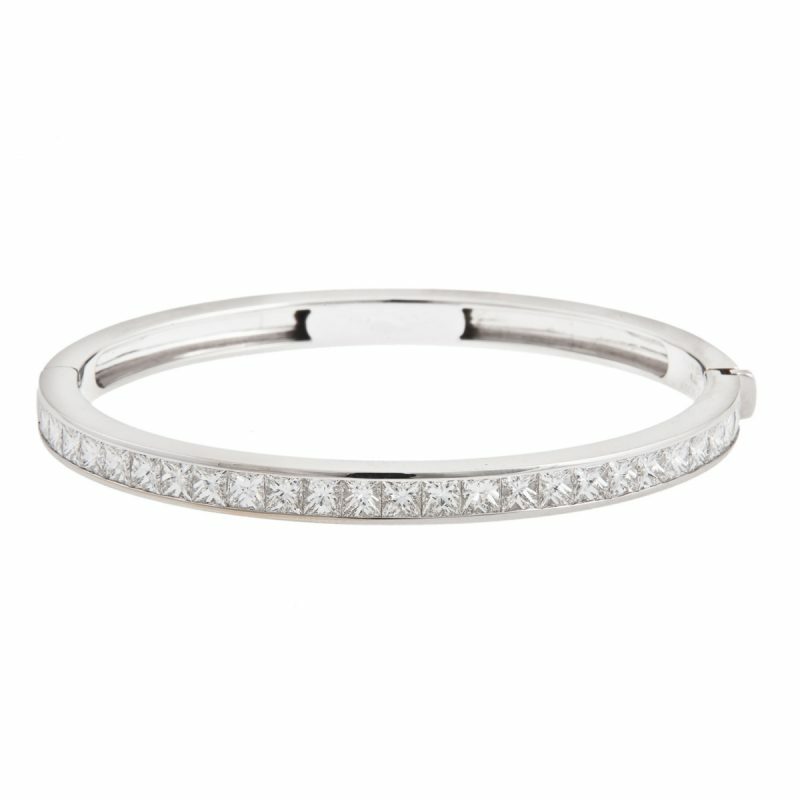 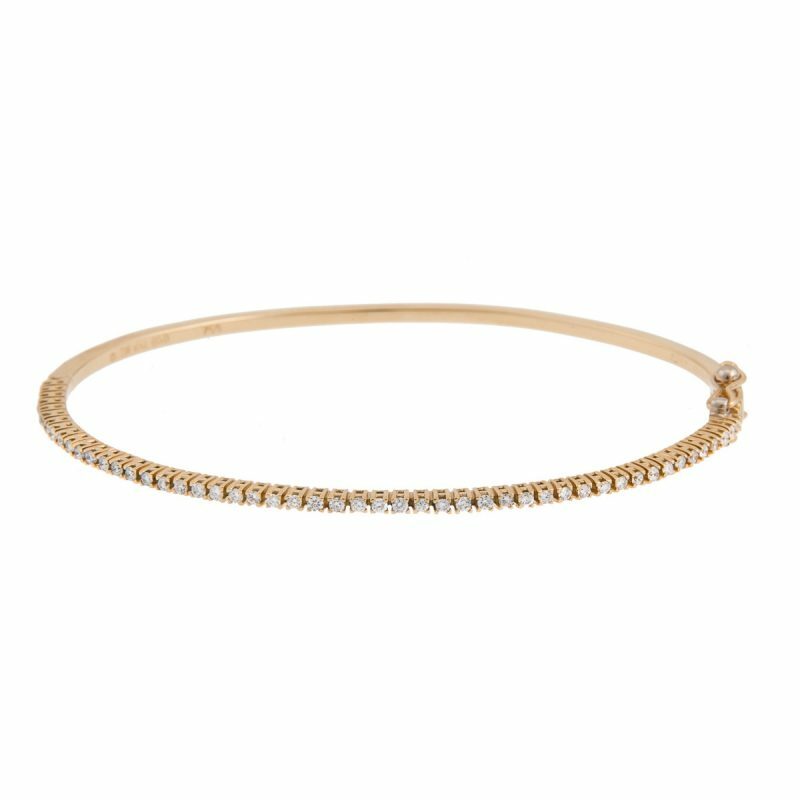 This harmonious bangle can be worn effortlessly to create a finer glimmer.